Seaver Films released a 12-part documentary on the Pepperdine Women’s Beach Volleyball team called “Compete With Purpose.” It highlights the highs and lows that the veteran players endured during their careers. The series, which premiered on Oct. 3, also shows what the team did in the offseason to prove that they are one of the best in the NCAA. The Pepperdine University Youtube channel released three chapters per week for three weeks so far. Each chapter focuses on something different, ranging from how far the team has gone in previous years to highlighting individual players and their journeys and what what an offseason for an elite team looks like. 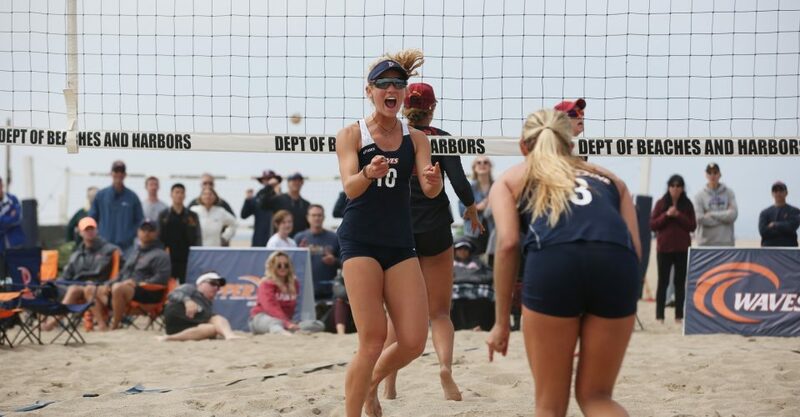 The agenda for the 2018 Pepperdine Women’s Beach Volleyball team is not revenge but redemption. After losing the 2017 National Championship Final by three, the Waves are fully focused on the season that lies ahead. The first chapter focuses on how previous success fuels the Waves and the mindset of senior Maddy Roh as she enters her final year. Although ending each of the last two seasons so close to being a National Champion, the Waves are in the same spot as all the other teams in the NCAA: the bottom of the mountain. In the chapter Roh says she looks forward to the challenge that lies ahead. The USC Trojans beat the Waves each of the last two years in the NCAA Tournament. Roh acknowledges the losses of past but is excited for when the teams cross paths again. The second chapter is a profile on senior Skylar Caputo. Caputo was born into the sport of beach volleyball. 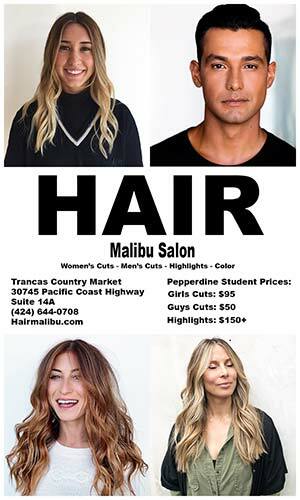 Her parents met while playing at Rosecrans in Manhattan Beach, California. 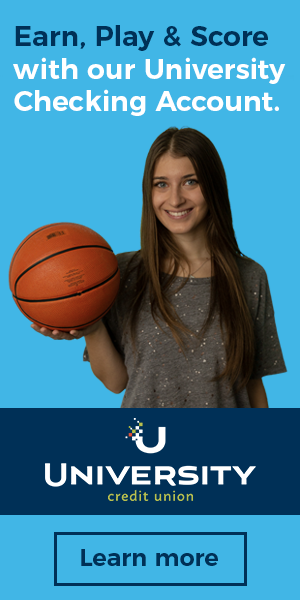 Pepperdine was Caputo’s dream school and she believes that God had a plan for her to attend this university. Caputo has high aspirations for the team this season and credits faith as her motivation for playing. Caputo’s time competing at the highest level and strengthening her faith at Pepperdine broadened her perspective. Chapter three starts at the beginning of last season, highlighting two games that would eventually launch the Waves into the incredible success of their season. Pepperdine began their 2018 journey back to the top of the beach volleyball mountain against two giants, No. 3 ranked UCLA and defending national-champion No. 1 ranked USC. “It’s time to compete. It’s time to take this place and put it on fire,” said Assistant Head Coach Marcio Sicoli said. In the first game against UCLA, things heated up but Pepperdine was not the one on fire. UCLA was victorious in a back and forth affair, ultimately winning 3-2. “No one’s going to give you a darn thing … you have to earn it,” Head Coach Nina Matthies said. In the second match of the day, the Waves took Matthies’ words to heart and seized the opportunity for redemption against USC. 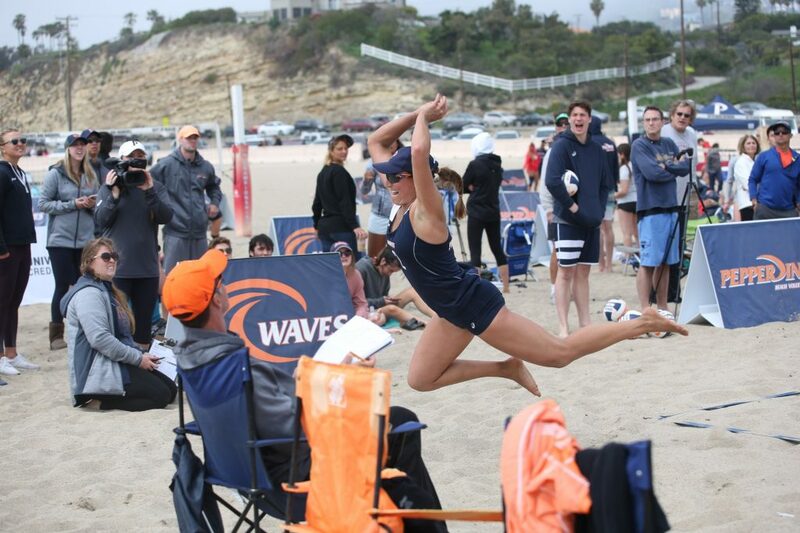 The Waves won the match 3-2, avenging the national championship loss to USC just last year. In the first flight, Caputo and sophomore Alexis Fillipone won their match, but UCLA won their next match and evened the total, 1-1. In the second flight, sophomore Brooke Bauer and Roh won their match but senior Heidi Dyer and junior Gigi Hernandez lost their match leading to a winner-take-all match five. In the final match of the day, it was Roh and Corinne Quiggle, an alumna, clinched the victory for the Waves in a narrow third set win, 15-13. Over the course of the day, the Waves were tested by two great opponents. Dropping the first match, they could have easily folded against USC but instead displayed their mental toughness and rebounded to win. Chapter four highlights what makes this Waves team different: their commitment to faith, the classroom and lastly the court. When blessed with the ability to play beach volleyball on an actual beach opposed to a man-made sand court, greatness is to be expected. 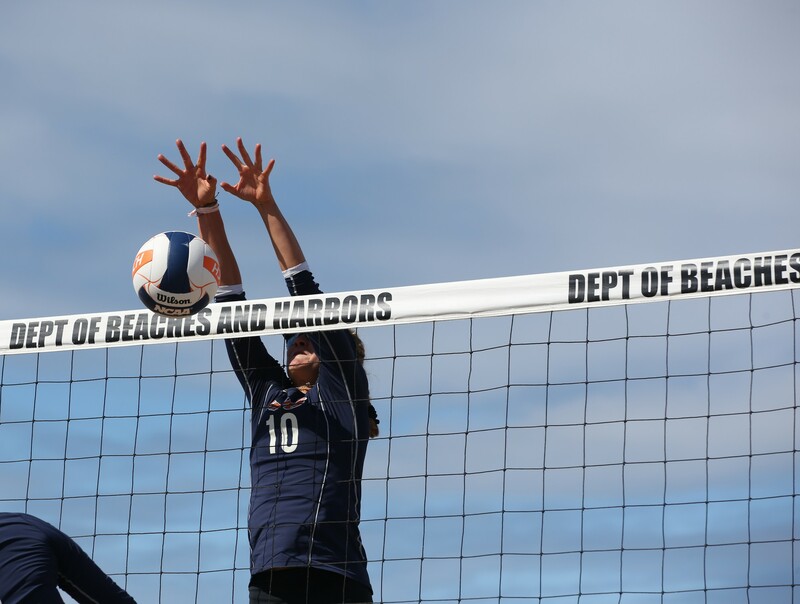 The Pepperdine Waves proved just that as they rattled off seven consecutive wins after their split with UCLA and USC to start the season. The Waves earned the No. 1 ranking in the nation courtesy of their seven-game win streak, which featured a victory over UCLA. However with a No. 1 ranking, the hunter becomes the hunted, and teams will always bring their best to take the crown. Versus No. 5 Florida State, the Waves experienced this firsthand, yet proved worthy of their ranking, beating FSU, 4-1. At Pepperdine, even playing for the No. 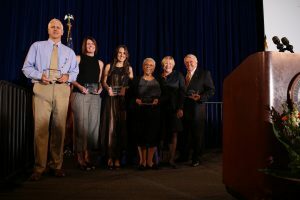 1 women’s beach volleyball team in the nation does not change the priorities for a student athlete: student first, athlete second. The women work equally as hard in the classroom as they do on the sand. 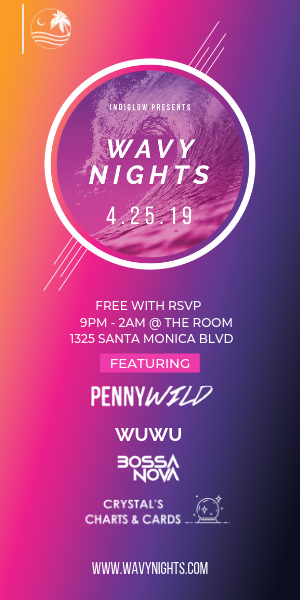 This Waves team believes one’s education includes not just lectures inside a classroom, but the growth of one’s spirit outside of it as well. Caputo meets with the team chaplain regularly to ensure she is growing in her faith. “I can safely say, if I didn’t come to Pepperdine, I wouldn’t have found God … and that’s already a success in my book,” Caputo said. The Waves look to continue to prove their worthiness of their No. 1 ranking on the court, but strive to balance themselves off the court as well. Finding the balance between the two will be the key to their sustained success, and journey back to the top of the mountain. The Graphic will be covering the releases of the “Compete With Purpose” web series on a weekly basis.